Though it's only days after Sunday night's epilogue of a finale, we're already missing Marnie's whines and Elijah's sharp one-liners. 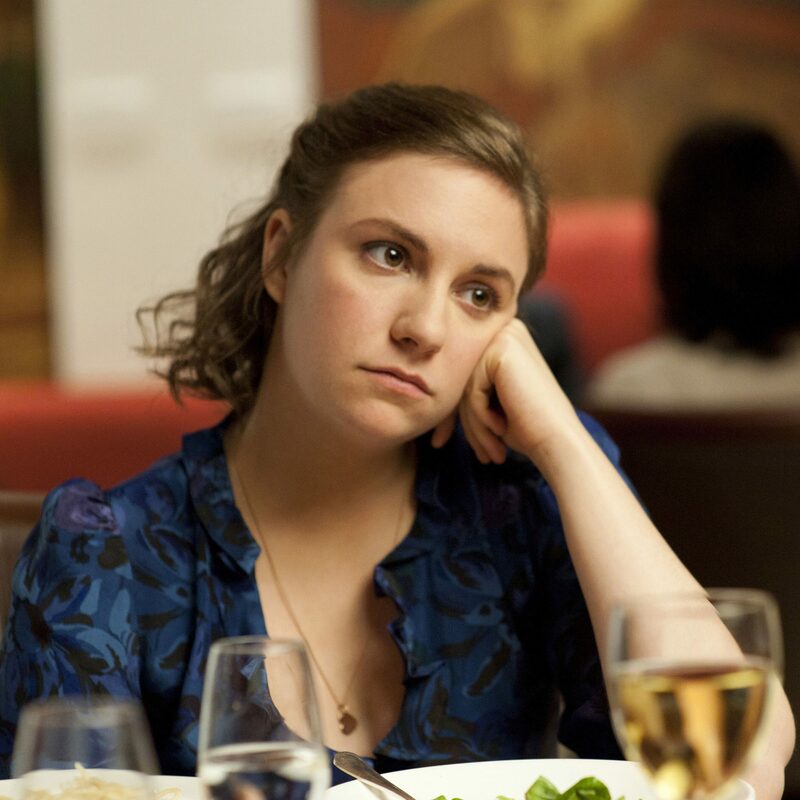 Lena Dunham is leaving a 'Girls'-shaped hole in our hearts and perhaps the only way to fill it is to go back and watch the series from the beginning. For now, though, our tears have dried long enough to compile our absolute favorite food moments from the past six seasons. 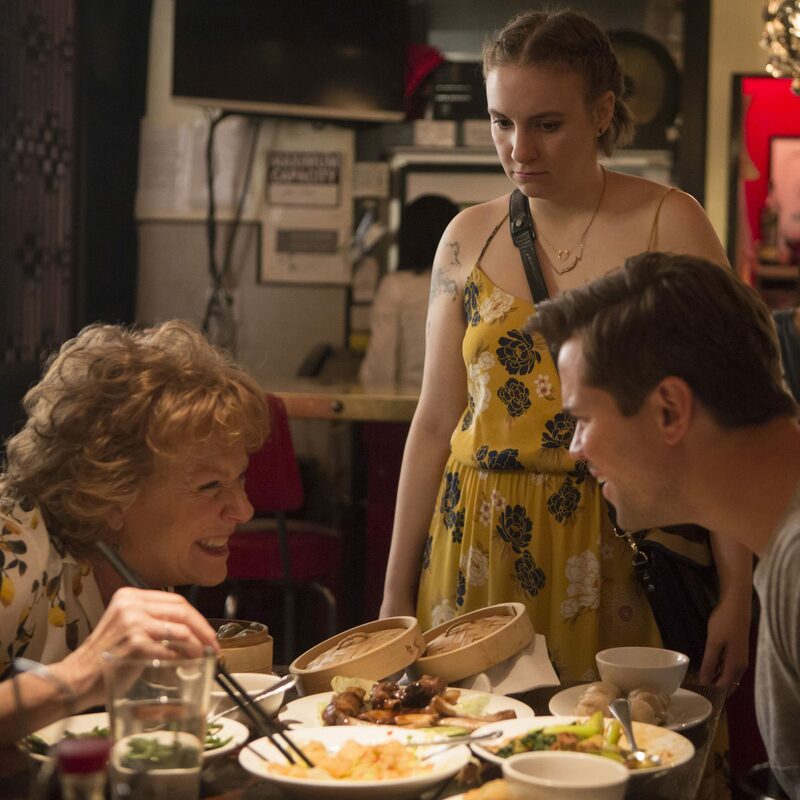 While 'Girls' is certainly not a culinary show, the series both began with a meal (when Hannah's parents took her to dinner to tell her she was cut off) and ended with a meal (a baby's breast-fed meal, but still). You'd be surprised how many times Hannah turned to food for comfort and how many pivotal conversations took place over dinner. Join us in reminiscing about this incredible series the only way we know how. Season 2, Episode 4 "It's a Shame About Ray"
Hannah's attempt at adulting manifests itself in a dinner party at her apartment, which inevitably blows up in her face. To ease the tensions between Shoshana and Ray and Charlie and Marnie, Hannah interjects, "Nothing bundt trouble?" and begins to spoonfeed herself the bundt cake she had baked for her guests. Season 6, Episode 5 "Gummies"
In response to learning Hannah is pregnant, Loreen gets way too high eating weed gummies and disappears. Hannah and Elijah finally find her surrounded by steamer baskets of dumplings at a Chinese restaurant. Though Loreen ultimately throws up all over herself, her munchies spread was pretty dope. Season 1, Episode 10 "She Did"
After falling asleep on the F train and waking up to discover her purse has been stolen, Hannah wanders towards the beach. Sitting on the sand, she unwraps a plate covered in tinfoil and shoves leftover cake from Jessa's surprise wedding in her mouth, licking icing off her fingers as she goes. Season 2, Episode 7 "Video Games"
When Hannah accompanies Jessa to visit her estranged dad in the country, she is fed rabbit for dinner. Then she realizes which rabbit she is eating. "Um hey I was just wondering. Is this rabbit the same rabbit we were feeding and petting in a loving way this morning?" It was. 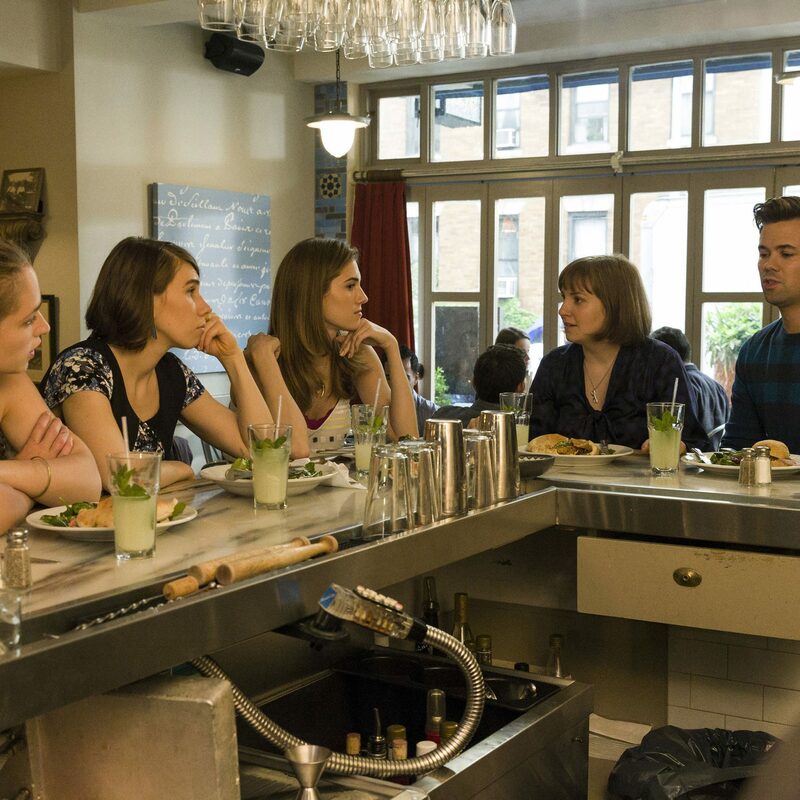 Season 4, Episode 6 "Close-Up"
A rare moment when you can catch all the girls (and Elijah) in one scene, they are breaking bread (looks like pita) over a Mediterranean brunch. Seated at the corner of a counter, Hannah exclaims that she wants a job where she can help people, only to be shot down by her friends who say she's the most selfish person of all. Season 5, Episode 4 "Old Loves"
Though Jessa is supposedly studying, Hannah convinces her to get rice pudding at Rice to Riches in Soho. "You said you would cut off my hair if I didn't let you take me out to rice pudding," says Jessa. Hannah orders Fluent in French Toast and Jessa opts for I Gotta The Panna Cotta. Jessa ends up having to pay and they get in massive fight. Season 6, Episode 4 "Painful Evacuation"
Hannah finds out she's pregnant when she goes to the emergency room for her UTI. She comes home and though she doesn't tell Elijah the news, he coaxes her head to his lap and strokes her hair using his greasy "pizza hand." Season 3, Episode 6 "Free Snacks"
Hannah gets an advertorial writing gig at GQ and is shocked to learn that the wide array of office snacks (including Russ & Daughters lox, which Hannah describes as "disgusting, but very expensive") are all free. She loads up her arms with everything from SunChips to bagels when she meets her team for the first time. Season 1, Episode 1 "Pilot"
The very first shot of the series is Hannah blissfully shoveling spaghetti and greens into her mouth. Loreen says to Hannah and Tad, "Will you two slow down? You're eating like they're going to take it away from you." And then Loreen and Tad tell Hannah she is on her own financially. Season 3, Episode 9 "Flo"
Possibly the most classic Hannah-stress-eating moment, Loreen calls to tell Hannah that her grandmother is very sick. Hannah is walking on a crowded New York City street and opens the salad she's holding and pushes forkfuls into her mouth.